It's not a surprise to anyone that knows me that I am crazy about foundations and since I've discovered bb creams a few years back, they have quickly been fighting for prime real estate in my base drawer. I'm often asked what is the best bb cream and that is nearly impossible to answer because the answer is a combination of what skin type you have and what results you are looking for. However since the push of bb creams into the North American market (renamed into "beauty balms") and companies are all going bb crazy, I thought I'd do a quick breakdown for those curious to know how they stack up against their Asian counterparts. For those who are bb beginners this might also help you decide which type is better for you and make the selection a little more manageable. 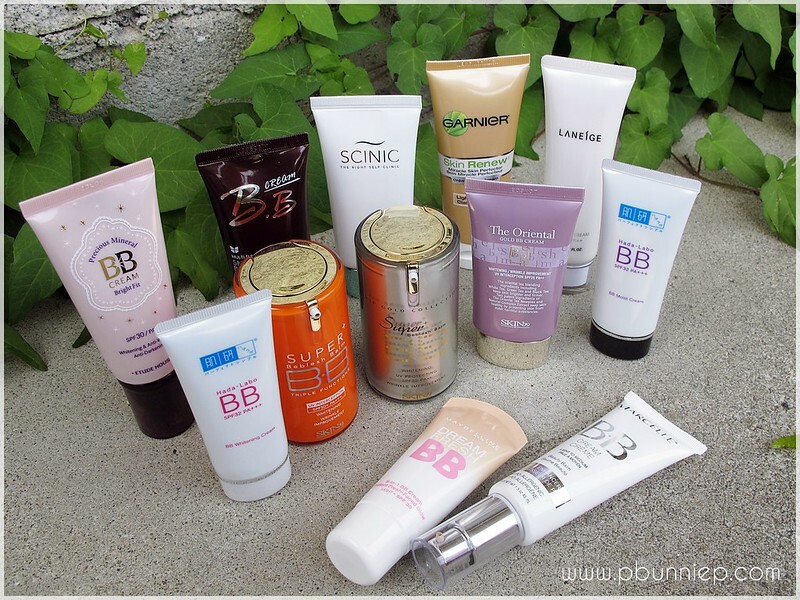 Below is a closer look at my bb cream collection as of right now. I fall into bb cream phases where I'll be all over them and then get tired of them and move onto foundations for a few months again. Overall though, I always have a few of them in my drawer at all times. The links to the bb creams I have already reviewed will be listed below (you can see swatches, including before and after photos) next to the product name. 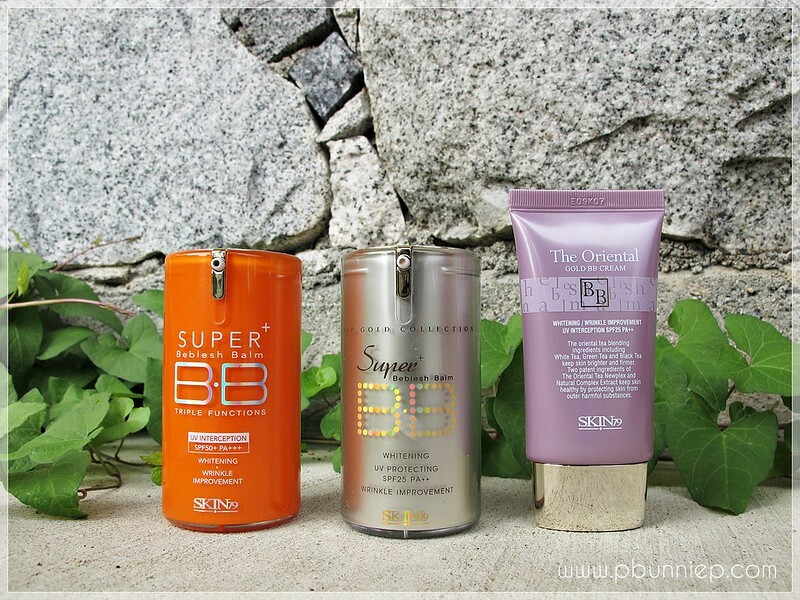 These bb creams are available in local drugstores like London Drugs or Shoppers Drug Mart in Canada. Marcelle's bb cream is also available online through their makeup boutique for shipping to Canada and the USA. 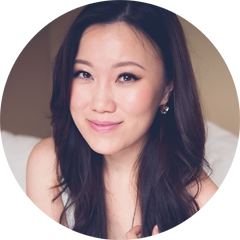 Skin79 products can be found through ebay, Amazon and many other Asian product stores online because they are quite popular and should be easy to get a hold of even internationally. Just be sure to check for the authentication sticker on each product and purchase from a reputable seller/shop. Hadalabo products are from Japan and can be found on ebay, on Adam Beauty online. Laneige can be found through ebay, Strawberry Net online and any Amore Pacific locations across the world. Etude House can be found all over the place online, including ebay, Amazon and many various Asian beauty webshops. Mizon is quite elusive and I've only seen it through ebay. Scinic can be found on ebay as well as on Sasa online. 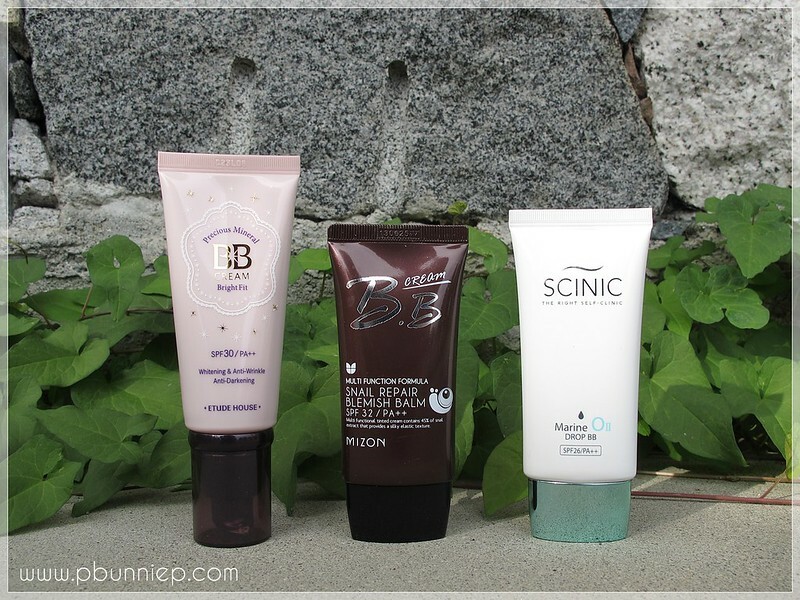 Got a favourite bb cream? Leave me a recommendation! I'm afraid I can't answer that, I did take a look at the packaging for them and I think Mizon is the only one that specifically said it's cruelty free. However I've found that (unlike Western brands) many Asian products doesn't seem to take that as a primary concern and doesn't say anything on the packaging (so it might be that they do or it might be that they do NOT but just doesn't mention it). I use the Etude House BB Cream and I absolutely love it. I know for a fact that they do NOT do any animal testing of any kind. Etude House sells their products in China where animal testing is mandatory right now. So while AmorePacific stopped testing last year themselves (meaning Etude stopped testing last year), it is still tested in China and thus NOT cruelty free. Would you do a big swatch with all these bb creams :>? This is great, i LOVE bb creams. Skin 79 gold has great coverage! 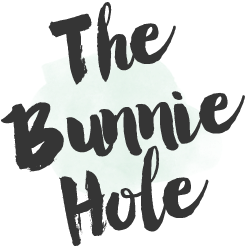 I love your BB cream reviews- they were a driving force in convincing me to try them, and I will never again struggle to wear base after you introduced me to BB creams! <3 I love that you embrace your pale skin and as an NC/NW15, I have fallen in love with Asian beauty products- finally something that is the right colour for me! I have dehydrated oily/combination acne prone skin, so your reviews are also very helpful as we seem to have similar skin types. As for recommendations, I have used/tried the Skin79 Orange Vita, Pink, Gold, and Snail formulas, Lioele Triple, Holika Holika Clearing Petit BB, the Missha Real Complete BB (ugh so greasy and broke me out immediately), and the Missha Perfect in #13 which turned out to be my perfect shade. I don't think I have seen you review the Lioele or HH creams ... ? Lioele was a little too rich and also a darker colour, the HH Clearing Petit has the best texture ever- hydrating, weightless on the skin, beautiful coverage, sinks in but doesn't pool in my large pores, even hours later my skin feels hydrated but leaves no film or stickiness on the skin, good oil control without being drying ... and it's too dark for me :( NC 20-25 I would guess. Have you tried it? My go-to is the Missha Perfect in #13, because it's also a lightweight formula that doesn't stay too sticky on my skin, doesn't break me out, and is pale enough for me. I don't feel that it has as many skin treatment properties as some of the others, but it's the best for daily wear for me. Thank you for the kind comments Kate, I'm so glad that you found something right for you! I've used the Lioele a long time ago but it wasn't very interesting, neither very good nor very bad but I did think it was a tad dark on me. I've used the Holika Holika Aqua Petite Jelly BB but again it didn't impress me....it was more like a foundation rather than BB cream plus it was too matte for my taste. I was just at Incheon Airport and picked up Étude House Precious Mineral Bright Fit BB Cream and I can't wait to try it! How would you compare the Étude House with the Mizon BB Cream? I'm thinking of trying the Mizon too. 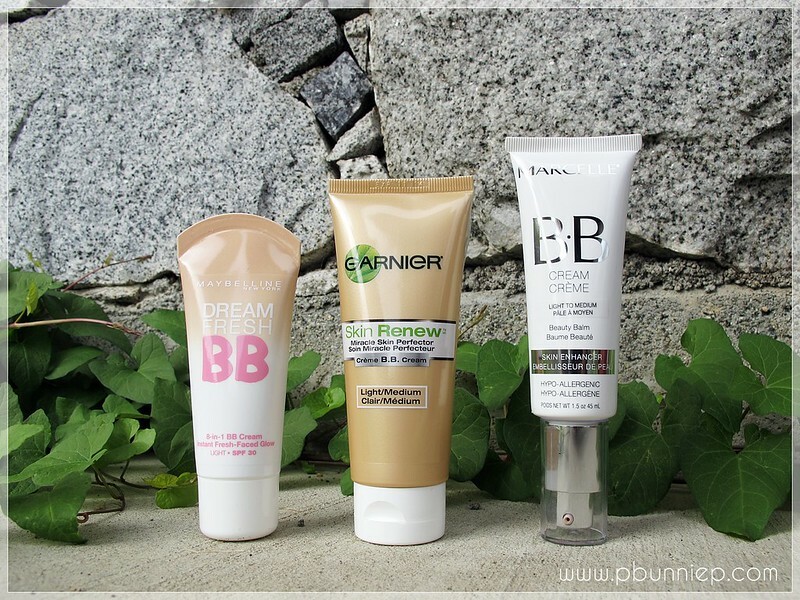 I just love BB creams and trying out different ones! Thank you for your comprehensive reviews! I would be wasting a ton of money without your informative, straight to the point reviews. I'd say that the MIZON sits on my skin much better during the warmer months, I certainly couldn't wear the Etude in the summer, it'll just oil up too fast. However I LOVE LOVE LOVE the glow from Etude. The Etude also feels a bit heavier on the skin and isn't as thin as the Mizon. Overall I like the way that the Etude one looks but when it gets down to business Mizon would be my better choice. I really like the Holika Holika Clearing Petit. It has great coverage and lasts almost all day on me. I read someone mention it was too dark, but for me its perfect. I'm a pale latina, NW20. I tried skin79 Pink and Orange but they didn't last long on me. Because I live in a tropical climate not a lot of base products work for me. I have been doing research on BB creams A LOT since they have become a thing. I have only tried the L'Oreal one and it's okay. I want something with coverage but is also good for my skin because right now I feel like I am just packing on random junk on my face. I like Matte to Satin finishes. I don't like looking super oily. I have Combination to Oily skin but if I miss a day of moisturizing all hell breaks loose and I get flaky. I have temperamental acne that stays somewhat under control as long as I was my face. I have a pretty even skin tone except the redness in my cheeks because of acne. I have no clue what my undertones are because just about everything is too yellow or too pink. What would you suggest? I have different preference to you when it comes to bb creams but from what I've seen and swatches, these ones may be worth looking further into. The L'Oreal BB Cream in my opinion is more of a skin enhancer, it looks nice on the skin but doesn't provide any significant skincare effect for me. Do remember that matte type bb creams are harder to come and along with your other requirements, it may be a matter of trial and error. Hi! Your video post was so very helpful. 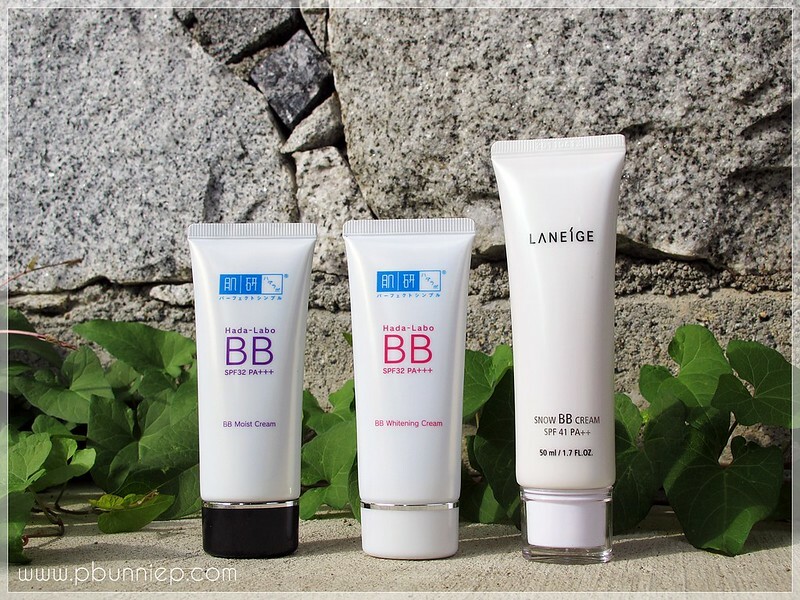 Have you tried Nature Republic BB creams? Hi Chelo, I actually haven't used any base products from Nature's Republic before. Hi PBunnieP...do you have a photo of where it says Mizon is cruelty free on the packaging? I can't be certain whether or not Mizon is cruelty free but I do have the full packaging scanned on my review post (http://www.pbunniep.com/2012/11/review-mizon-snail-repair-bb-cream-best.html). You may also want to visit their website for more information if you can read Korean or know someone who can look it up for you (http://www.mizon.co.kr/). Hope this helps a little. Good luck!